A well presented family home situated in a quiet spot in the sought after location of Sutton with spacious and versatile living accommodation with an open plan kitchen through to conservatory, four bedrooms, master with en suite, family bathroom, front and rear gardens and double garage. A well presented detached family home situated in a quiet spot in the sought after location of Sutton. The property has spacious and versatile living accommodation throughout with an open plan kitchen through to conservatory. The property also benefits from four bedrooms, master with en suite, family bathroom, front and rear gardens and double garage. Entrance Hall - 16'0" x 8'0"
Cloakroom - 6'2" x 6'1"
Fitted with a two piece suite comprising a low level WC, vanity wash hand basin, wooden effect laminate flooring, coving and double glazed window to side aspect. Study - 9'9" x 9'8"
Double glazed window to rear aspect, door to garage, radiator and coving. Sitting Room - 21'2" x 15'7"
Dining Room - 13'0" x 12'5"
Double glazed window to rear aspect, radiator, wooden effect laminate flooring and door back through to entrance hall. Kitchen - 13'0" x 13'0"
Utility - 6'10" x 7'9"
Fitted with a range of base units complimenting the kitchen with granite worktops, stainless steel sink drainer with tiled splash backs, coving, space for washing machine and double glazed window and door to side aspect giving access to garden. Conservatory - 23'0" x 13'0"
UPVC double glazed construction with polycarbonate opaque roof, French doors to side aspect giving access to patio and garden, open plan back through to kitchen, space for sitting area and dining, radiator and oak effect laminate flooring. Master Bedroom - 14'6" x 13'0"
En Suite - 8'4" x 6'2"
Fitted with a contemporary three piece suite comprising a corner shower cubicle with curved glass screens and electric shower, low level WC, vanity wash hand basin with cupboard unit under, fully tiled walls and flooring, heated towel rail and double glazed window to side aspect. Bedroom 2 - 14'7" x 11'5"
Double glazed window to rear aspect, radiator, and coving and built in double wardrobe. Bedroom 3 - 13'3" x 9'5"
Double glazed windows to front aspect, radiator, coving and double built in wardrobe. Bedroom 4 - 8'8" x 8'3"
Double glazed window to rear aspect, radiator and coving. Family Bathroom - 9'9" x 6'2"
Fitted with a three piece suite comprising a shower bath with curved glass screen and shower attachment above, low level WC, pedestal wash hand basin, fully tiled walls, laminate flooring, heated towel rail and double glazed window to front aspect. 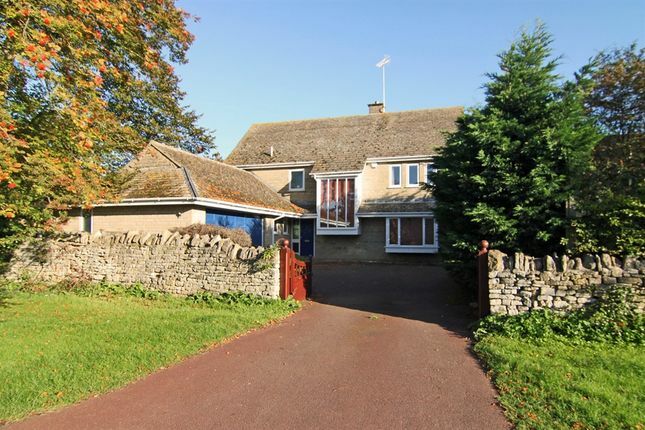 The property is situated on a good size plot with large hard standing driveway providing off road parking for several cars leading to an integral double garage with up and over door and power and lighting connected. The rear garden is mainly laid to lawn with a variety of shrubs and borders, patio area, enclosed by fencing and hedging.